“The dragon lives, the dragon dies. In a world where magic is common, a young mage, Kazin, finds himself at the center of a prophecy about to be fulfilled. The prophecy speaks of hordes of darkness emerging from the north. With parts of the prophecy becoming evident, the arch mages seek the aid of their allies, the elves and dwarves, only to discover that they are struggling with threats of their own. As Kazin embarks on increasingly difficult tasks for the arch mages, he comes to discover that things are more dire than even the arch mages realize. On the way, the young mage accumulates an unusual entourage of unique companions who are inexplicably drawn into the prophecy with him. As events unfold, they must risk their lives to overcome numerous obstacles, each contributing their individual developing abilities and cunning. Can Kazin and his companions regain the aid of their allies and thwart an unknown enemy poised to strike at a vulnerable moment? 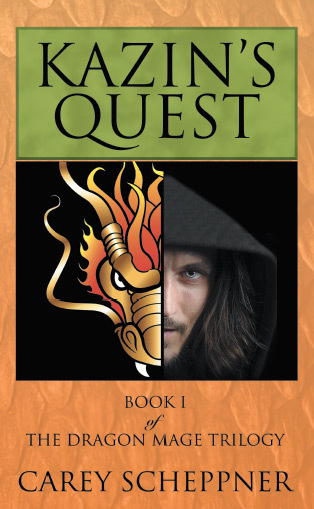 Find out now in Kazin’s Quest, Book I of The Dragon Mage Trilogy!